Who doesn’t love candy corn? I get so excited when I see it on the grocery store shelves. This snack mix ALWAYS graces my coffee table throughout the fall season. It’s so easy to throw together and tastes so yummy! My mom first tasted this at a work potluck and quickly passed it on to me knowing I would love it. Even if you are a self-proclaimed candy corn hater, give it a try. 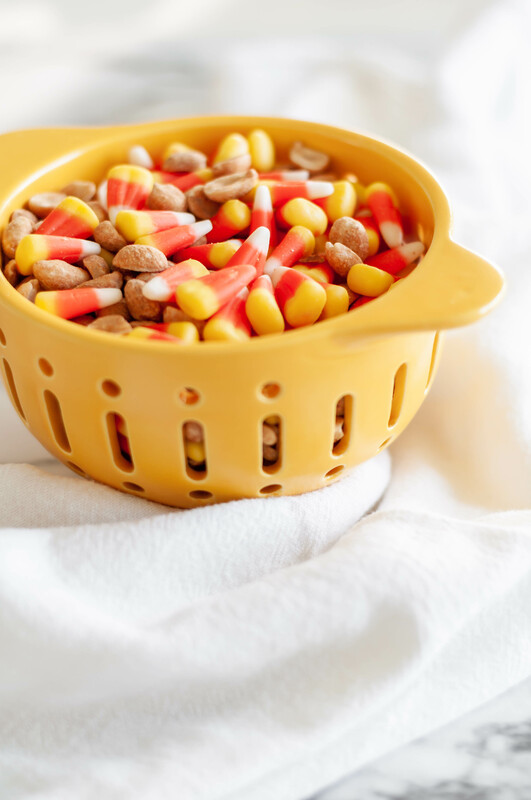 This recipe, if you can even call it that, consists of a 1:1 ratio of candy corn and dry roasted, lightly salted peanuts. I mix together a cup of each and it usually lasts me a couple days. This addicting mix tastes just like a Payday candy bar. Oh so good! I like candy corn too. I actually need to go out tomorrow to get some, I couldn’t find it at the close grocery today. 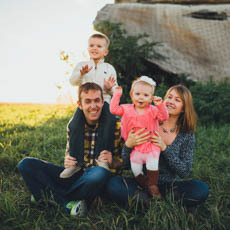 Thanks for linking up to Momtrends this week! oh, that would be SO dangerous for me to have around! :o) Looks SO good. Thanks for linking to tasty tuesday at Naptime Creations! I just love that sweet and salty mix, yummy! Thank you so much for sharing with Full Plate Thursday. Hope you have had a great week end and come back soon! I like the reference to a Pay Day bar -sounds addicting! There are so many choices out there that I’m totally confused .. Any suggestions? Many thanks!